I was hustling in between errands and meetings only to realize that I forgot to claim my driver's license at BF Homes where I met with my colleagues earlier that day. I had no choice but to go and get it back and maybe have my late lunch as it was already three in the afternoon and all I had was the wafer my nephew left in my bag. Good thing I chanced upon Crazy Katsu along Aguirre Avenue as most of the restaurants are still closed and preparing for dinner time. It's crazy that the more you're hungry, the more its difficult to decide what to eat. So while I was contemplating on which Katsu to order, I asked the waitress to bring me the salad first to somehow ease the hunger. They only serve one type so it was a no-brainer. I thought it was a steal for its price as the serving was generous enough for sharing. 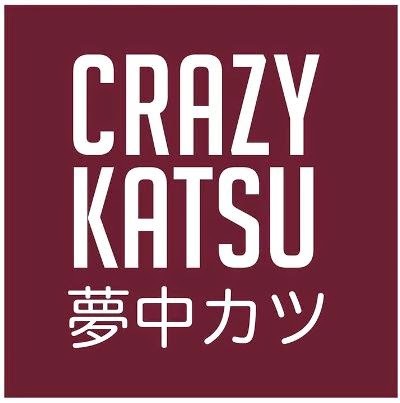 Unlike in other restaurants that serves more greens and less toppings, Crazy Katsu will impress you with the chunks of chicken katsu that's crunchy on the outside but tender on the inside. The waitress insisted that I try out their bestseller, the Chicken Katsu, only to find out that what they serve on the salad is just the same thing but with a cup of rice. The dish was basically a plate of deep fried chicken in bed with cabbage and the exact vinegar dressing as the salad. To be fair, the katsu was really good with the mix of tangy, spicy and salty flavors. But for the sake of variety, I should have ordered another type of katsu. A lot of Japanese restaurants have sprouted all over the Metro but its rare to find a place that can offer affordable yet quality dishes like Crazy Katsu. Another gem found in BF Homes!